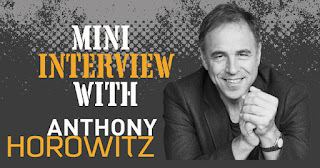 I contacted James Bond author Anthony Horowitz and asked him if he was willing to do a short "mid-Bond novel" interview and he is such a kind person he replied in just a few hours that he could do a short interview but I would have to understand that a lot is under wraps until the marketing of the novel starts (should be around July - August this year). I decided to only ask Anthony six questions and they are all below. You are currently at your second draft. Can you tell us how you write and what you focus on, on each draft? I have actually written more than two drafts of the book. Each time I rewrite, I look at the language and the pace. Sometimes chapters are too short. The plot of the new book had to be very carefully thought out and this also took time. We have all read about how the typical working day for Fleming looked like on Jamaica, Swimming in the morning, Writing, Lunch, Siesta and then some more Writing Before dinner. How does a typical workday for Anthony Horowitz look like? I get up around 7.00am and start work straight away in my London flat (Clerkenwell). I work until about 11.30am when I walk the dog for two hours. This is valuable thinking time. I then work through the afternoon and sometimes the evening too. My working life, as you can see, is a lot less glamorous than Ian Fleming’s. You have now written books about James Bond and Sherlock Holmes but you have also written tv episodes of Poirot. What do you find most challenging? Do the fans differ? Bond is more challenging than Holmes or Poirot. 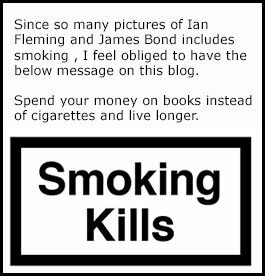 Capturing Ian Fleming’s style and being true to his world takes a lot of thought. Novels always take more time than TV! When it comes to the cover design of a James Bond book, how involved are you allowed to be? Do you get to see all countries before they are approved? Yes – I see all the covers in every country. I am fully involved but at the same time covers are not my expertise. I trust the publishers! How many countries released Trigger Mortis? Do you find it hard for Publishers to sell books abroad? I can’t answer this I’m afraid as I don’t know. It’s not my job to sell the book abroad. You need to ask the publishers. My gut tells me that Mr Horowitz second James Bond novel will be partly set in Istanbul…How Close am I of being correct? So there you have it. Hopefully we will be able to do a longer and maybe better (on our part) interview in conjunction with the next James Bond novel. Keep coming back for more.